VP Roy Mantei, and FASF President Ric Lambart, spent hours working this past weekend with some of the EAA Chapter 555 leadership, all of whom are active FASF members, planning for the upcoming once-in-a-lifetime FAS Centennial to be held next Spring. A great deal of time was spent focusing on the precise place at the Airfield site on which to locate the First Aero Squadron’s replicated 1916-1917 Flight Line, which is planned to be one of the major visitor attractions during the Centennial event. 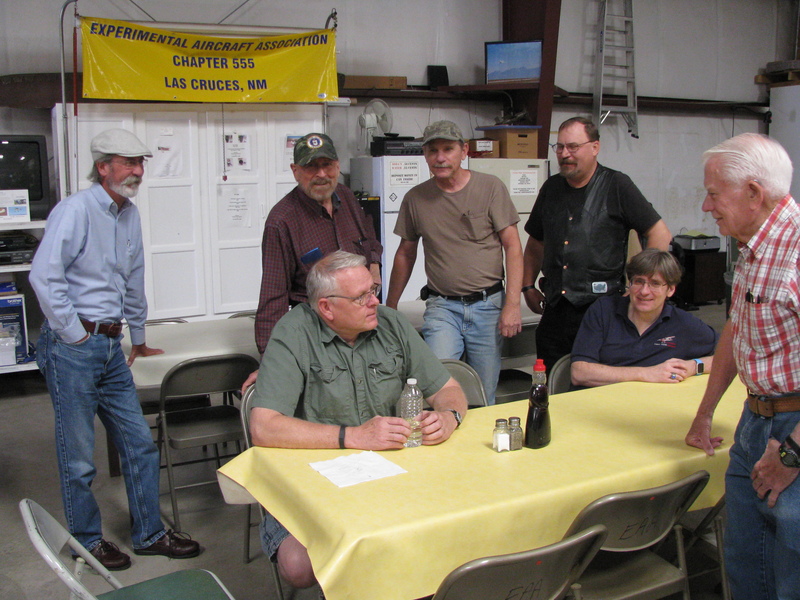 Actively contributing to the session were the three active members of the FASF Site Survey Team, headed by Bill Madden, and staffed by both Fritz Wagoner and Mark Drexler (see above photo). Also contributing to the talks were EAA Chapter 555 President, Wes Baker and Jerry Graber, all shown in the above photo, which was taken by the Chapter’s Newsletter Editor, * Carl Bogardus, also an FASF member. This entry was posted in HOT NEWS! on May 18, 2015 by FASFRIC.